Shredders will be in the parking lot of the Woodcrest Patco Station on Saturday from 8:30 a.m. to noon. 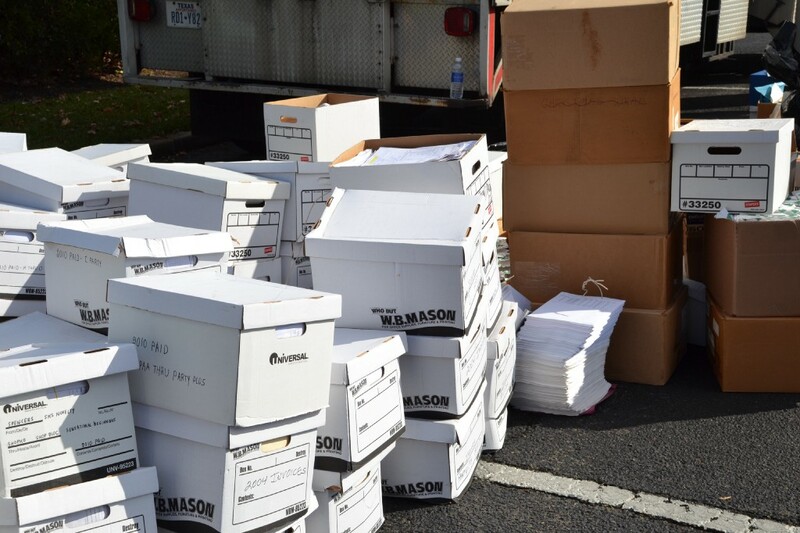 To help in the fight against identity theft, the Camden County Freeholder Board is sponsoring a free shredding day for county residents wanting to destroy documents containing personal information. On Saturday, Oct. 21, from 8:30 am to noon, industrial size shredder trucks will be in the parking lot of Woodcrest Patco Station, located at 200 Tindale Drive in Cherry Hill, to destroy private documents while residents watch. “This is a great opportunity to shred the personal documents that we all save rather than throw in the trash and run the risk of identity theft,” said Camden County Freeholder Director Louis Cappelli, Jr. The event is for residents only. No businesses will be accepted. For more information, visit www.camdencounty.com.